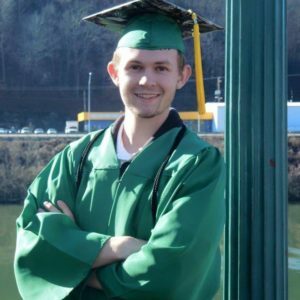 Logan Miller is a graduate of West Virginia Junior College Charleston’s Medical Assisting program. He enrolled at WVJC after graduating from Lincoln County High School with high honors. At the time, he was working as a first responder, which was the determining factor in his decision to pursue his education in the medical field. “When I began my studies at WVJC, my goals and ambitions were (and still are) larger than life. Thanks to the attentive, one on one training that I received from my instructors, I got my foot in the door of the medical field, where the sky is the limit. After graduation, Logan started his career working as a medical assistant at a podiatrist office, and is now working in the Vascular Center of Excellence, side by side some of CAMC’s finest surgeons. Being in the medical field has allowed him to continue on his quest to help others and has presented him with many opportunities that continue to grow each day. If you are looking for a new and exciting career as a Clinical Medical Assistant, request information today!